If you don’t know what is working and what is not working you not only can’t effectively grow your business online, but you can’t make good business decisions as to what activities you should be working on and which ones you should not. The data will tell you exactly what is working and what isn’t. The data doesn’t lie. You can make assumptions, speculations, and predictions as to what you think will work and what won’t, but that doesn’t mean that is what will happen. The data will tell you everything. Stop guessing and gambling on what you think will happen. The marketplace will tell you with their wallets as to exactly what will work. It is absolutely amazing how many businesses, large and small, that I have seen who either don’t use any web site analytics on their websites or have analytics on their websites but never bother to look at the data. Then they wonder why they are not getting the kind of results they want. For those of you that don’t have analytics software tracking your website statistics, many times your web hosting providers provide statistics for free as a part of your web hosting package, or you can get analytic software for free such as Google Analytics. Google Analytics is one of my favorites not just because it is free, but because it is more robust and better than other software programs that I have seen sell for thousands of dollars. It is also very easy to use and add to your website, landing page, or blog. To boot, about 50% or more of the websites on the internet use Google Analytics, so Google has a strong motivation to spend a lot of money and time making it better. 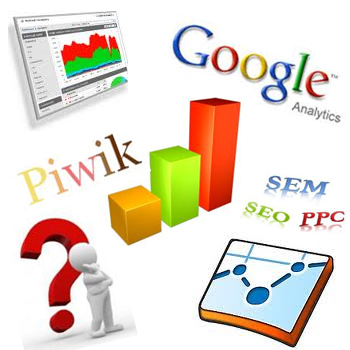 And if you don’t like Google for whatever reason, there are plenty of other analytic software programs available today like Webtrends, Piwik, ClickTale, VisiStat, and AWStats to name a few, so you have no excuse. Especially if you are just starting a new website, the faster you get analytics added to your website or blog, the faster you start collecting data that will tell you a ton of information that you can use to accelerate your business success and turn that into profits. The amount of information you can get from analytics is just amazing. You can see where your traffic comes from, how many pages visits view, how much time people spend on your website, visitor loyalty, which websites send you the most traffic, which traffic sources convert the most, what keywords visitors entered in search engines to get to your website, and tons of other information that you can use to improve your online business and profits. When configured properly you can know down to the penny how much a single visitor from Facebook is worth to your business. You can know what the average transaction size is, which pages convert more than others, which sources of traffic provide the greatest return on investment (ROI), and average visitor value. When you know this kind of data you can really make great business decisions as to what activities you should be doing and which activities you shouldn’t. It is not enough to just have analytics. You must review the data on a regular basis if you want to maximize your online success. Doing so will allow you to identify trends and what I call “screaming opportunities” that you can leverage to accelerate your online growth and profits. Get started today! Don’t even wait any longer. Go do it right now! This entry was posted in Internet Marketing, Marketing, Online Metrics, Website Analytics and tagged online metrics, web analytics, website analytics, website conversions on August 31, 2011 by marketingpotential. 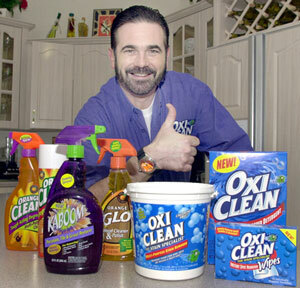 With his unexpected and recent passing, legendary TV pitchman an infomercial icon Billy Mays will be deeply missed. I was a big fan of Billy and was deeply saddened to learn about his death on Sunday. It was just recently that I got hooked on his new TV show on Discovery channel called Pitchmen and have been telling everyone to watch the show, because they can learn a lot about marketing consumer products and get an inside look at the infomercial industry and the major players involved in the industry including Billy Mays and Anthony “Sully” Sullivan. Billy and Sully were together for the last time this past Tuesday night during an interview on The Tonight Show with Conan O’Brien to promote the season finale of Pitchmen, which is scheduled to premiere July 1. For those we have yet to see the show or want to see what I have been talking about can now get their chance to tune in, because this Wednesday, the Discovery channel is running a Pitchmen marathon starting at 11 AM EST through 10 PM EST leading up to the never-before-seen season finale at 10 p.m. So program your TIVO, DVR, or change your schedule so that you can tune in to the show and don’t miss out. This entry was posted in Advertising, Direct Marketing, Direct Response Marketing, Infomercials, Marketing and tagged Advertising, billy mays, Direct Response Marketing, Infomercials, Marketing, oxiclean, pitchmen on June 30, 2009 by marketingpotential. After many months of people asking me to start creating a putting up videos on YouTube and updating my blog. Here is the first of other videos to follow relating to marketing, search engine marketing, and online business growth strategies. This video really resonated with several other people and it may resonate quite well with you as well, especially as you venture into the world of marketing in an uncertain economy. This entry was posted in Marketing and tagged contests, Marketing, marketing lessons, promotions, youtube on June 10, 2009 by marketingpotential. Many people spend lots of hard earned money on business and marketing courses, seminars, information products, books, audio programs, and other personal development materials. Yet very few of them get the maximum leverage that they could out of the material, nor do they truly earn the windfall profits that they can get from applying the material to their business. Here are some simple ideas that can you can use to get the most out of any business building material you get your hands on. Listen to audio programs a minimum of seven times. Take notes while actively listening to audio and list actionable tasks and items that can be used and applied to your business. Watch DVDs and video programs a minimum of seven times. Take notes while actively watching video and list actionable tasks and items that can be used and applied to your business. Read printed material a minimum of seven times. Take notes while actively reading printed material and list actionable tasks and items that can be used and applied to your business. Review and re-review material a minimum of once a year, a quarter, or a month. Take each idea or concept, expand upon it, and write a detailed description in your own words and how it applies to your business. Start a mastermind group and discuss material with other in the group. Spend 1 hour a day actively reviewing material. Get others to quiz you on the material on regular basis. Write articles about the material your have reviewed and share your viewpoint. Teach material to others on a regular basis. Improve your reading speed, memory, and comprehensive skills by completing a speed reading and/or memory development course. Listen to business and marketing material on an I-Pod or MP3 player while exercising. Review business and marketing material instead of watching TV. Read business and marketing material while doing cardio exercise. Set aside blocks of time in your daily or weekly work schedule to review business and marketing material. Schedule and prioritize the material that you would like to go through. Analyze material, identify and list each concept, and re-write the meaning of each concept in your own words and how you could apply it to your business. Take each concept you learn, categorize it, and index them into a master book for you to review on an ongoing basis. This entry was posted in Marketing and tagged Business, Information Products, Learning, Marketing, Marketing Courses, Marketing Programs, Seminars, Training on November 18, 2007 by marketingpotential. Jay Abraham is a true marketing genius! 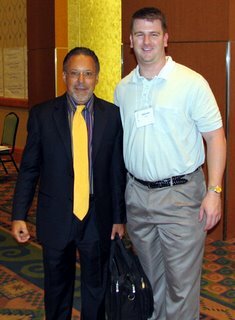 If you read any of my previous blog entries, you probably read that I was fortunate enough to attend Jay Abraham’s “Abraham Factor” Seminar in Anaheim, CA in May 2006. Prior to attending the event Jay sent thousands of dollars worth of pre attendance grounding materials, and at the seminar he provide three information packed days of the most mind blowing marketing strategies and techniques that I will be able to use for the rest of my business life and use them to earn millions and millions of dollars in ongoing personal income. When I got back from the seminar, I used several of his marketing strategies to earn half of the $5,000 I paid to attend the seminar. I look forward to using many more of the hundreds of techniques that I now have at my finger tips to help other businesses dramatically increase their profits and business growth. This entry was posted in Marketing and tagged Jay Abraham, Marketing on September 27, 2007 by marketingpotential. In the arena of search engine marketing, getting as many links pointing to your website as possible is a key component in increasing your rankings in Google, Yahoo, and MSN search listings. Each website that links to your website acts like a vote in a popularity contest, and the one who gets the most votes and popularity is the one who will show up higher in search engine listings. Post Content – Post articles and comments on message boards, discussion rooms, blogs, and include the URL of your website in your article and signature line. Make sure that the content you contribute is meaningful and not just a selfish attempt to plug your website. Provide insightful and valuable content. Press Releases – Submit press releases through online PR sites like PRWeb, PR Newswire, SBWire, or any other of many online PR websites on the web. Make sure you include relevant content and links to your website and related web pages. Write Reviews – Write reviews on eBay, Amazon.com, or any other popular website that allows you to create reviews for products, services, companies, or related topics to your business. When writing reviews some sites will allow you to include your name, business name, website links, and other information you can include in your posting. Create Your Own Blog – Even though there are millions and millions of blogs on the internet, having one of your own won’t hurt. In fact it gives you another opportunity to provide relevant and valuable content to your marketplace and provide you with another opportunity to create links to your website and related webpages on your website. Sell Items on Auction Websites – Listings on websites like eBay, Amazon, Yahoo Auctions, and other auction based or marketplace websites provide you with another opportunity to add links to your website. You can also customize and add links to your website by creating user or seller profiles on each of those websites as well. Reciprocal Links – A really simple way to get links back to your website is to just ask people to add links to their websites in exchange for you linking to their sites. You should try to set up reciprocal links with websites similar to or related to your product, service, or website content. Submit Your URL – There are tons of websites that you can submit your website address to for little or no money. Make sure that you submit your website to all search engines, vendors, clients, related companies, industry publications, online directories, popular blogs, and other types of websites. Online User Groups – User groups such as Yahoo Groups, MSN Groups, and Google Groups give you another chance to not only provide valuable content and maximize group collaboration, but also post links to your website. Depending on the user group settings, you can configure the group website so that all of the postings from group members are made visible to search engines and get indexed in search listings. Testimonials – Give your vendors, strategic alliance partners, and clients testimonials that they can post on their website that includes links back to your website. Then offer them to do the same in return. Community Profiles – Sites like MySpace, Amazon, eBay, Friendster, chat rooms, discussion boards, and YouTube are some of the highest traffic sites and get crawled and indexed by search engines on a regular basis. Most online community type websites allow you to create user profiles and include information like your favorite links, company name and website address, and allow you to post comments to community blogs and postings. Each of these provides you with yet another opportunity to post another link to your website. This entry was posted in Marketing, Search Engine Marketing, Search Engine Optimization, Website Promotion and tagged Google, Link Building, Marketing, Search, SEM, SEO, Website Promotion, Yahoo on September 26, 2007 by marketingpotential. Abraham Factor Seminar in CA! After studying a good portion of Jay Abraham’s work, I finally got a chance to attend one of his events in May 2006. Although it did cost me $5,000 to attend the event, not including airfare, hotel, and other travel expenses, it is by far the most powerful marketing or business seminar I have ever attended. I would have gladly paid twice what I paid to be at the event and have no question in my mind that I will earn back a minimum of 100 times the investment I spent to be at the event. If you have never been to one of Jay’s live seminars, I highly recommend that you do. Not only because the impact of the material presented in person makes a more powerful impact, but also the fact that you will meet hundreds of small business owners and entrepreneurs that also paid $5,000 or more to attend. The networking contacts that you can create at one of his events by itself should help your earn back more than twice what you pay to attend the event. This entry was posted in Marketing and tagged Business Growth, Damian Petrini, Jay Abraham, Marketing, Marketing Seminar on September 26, 2007 by marketingpotential. Dan Kennedy Book Signing in OHIO! On February 11th, I was very fortunate to have a chance to meet direct response marketing master Dan Kennedy at a Barnes and Noble book signing in Fairlawn, Ohio! Dan was in town promoting his new books just released at bookstores everywhere! If you haven’t already read any of Dan’s books, I highly suggest that you pick up a copy of any of his new books. It’s non everyday that you get a chance to meet and speak with a master marketing who has generated millions of dollars in income for himself and his clients. Meeting Dan Kennedy has fueled my desire to reach the levels of success that he has been able to achieve! This entry was posted in Marketing and tagged Book Signing, Dan Kennedy, GKIC, Marketing, No BS Books, NO BS Marketing on September 26, 2007 by marketingpotential. Update on Rich Schefren’s New Breakthrough Report!!! For the last month Rich Schefren has been writing his new report, or should I say “advisory”, that’s sure to ROCK the Internet marketing world. It’s called The Attention Age Doctrine, and if you’re like me, you’ll want to find out how to profit from this new environment on the Internet. Unlike his Internet Business Manifesto Trilogy, this advisory will be available only for a limited time. The thing is, Rich really DOES deliver the goods. If you look at his list of clients, it’s basically a “who’s who” list of the top people doing business online. The one’s who have reviewed his drafts have unanimously given it their highest marks. Rich and Jay have decided to limit the audience to only those who have read his latest advisory. This entry was posted in Marketing and tagged Attention Age, Internet Business Manifesto, Internet Marketing, Marketing, Online Business, Rich Schefren, The Attention Age Doctrine on June 25, 2007 by marketingpotential.